Imagine for a moment that you’re a newly appointed trainee chef. Eager, excited and ready to get in the kitchen, the head chef unexpectedly throws you a curve ball. He asks that you begin preparations to cook five-star meals at their finest restaurant in town that evening. We’d be surprised if this didn’t raise an eyebrow, or two! A trainee chef, especially one that’s new to the industry, would surely need time to hone his/her skills before being let loose in a restaurant kitchen! Not knowing how to properly slice an onion or even read a recipe would, as you can imagine, likely end in a culinary catastrophe. Just like our trainee chef, a trader needs time to develop and mature. Fortunately, a simulated practice account offers one the opportunity to experience the market before placing your hard-earned money on the line. So, without further ado let’s look at how one can take advantage of their demo account. This is perhaps the most appealing feature of a demo account: it is risk free! Traders, especially those new to the business, often rush into live trading longing for riches. Unfortunately, many of these traders end up paying the price! Unlike doctors or lawyers, who have to go through rigorous training before considered a competent specialist, a trader, with a few clicks of a mouse button, can trade using real money. The barriers to entry are incredibly (some would say dangerously) low! 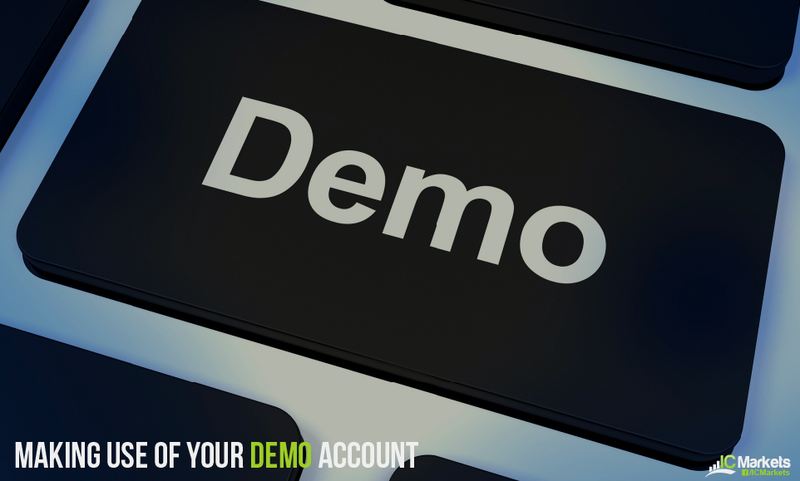 A demo account provides one entry to the live market at no cost. This allows the trader to become familiar with the platform’s features in a risk-free environment. Determining lot sizes, knowing how an order is placed, how to close a position and how to alter stop-loss and take-profit orders are things best learnt on a demo account, as mistakes will happen. An additional point to consider is the testing capability a demo account offers, WITHOUT the fear of losing real money if the method turns out to be a flop. A great deal of traders open live accounts without fully testing the strength of a method. Without knowing the historical statistics, it’ll be difficult not to panic when a string of losses occur. Another feature, which is often overlooked, is how receptive the support team is. The last thing you want is an uncooperative support team when you need them most. Therefore, testing the response with a demo account before considering a live platform is important. Trading the financial markets will forever be a learning process. Even for the most experienced traders, a trading journal is crucial. Memorizing the subtle nuances of each trade is of the utmost importance. It is how we recognize mistakes and ultimately mature as traders. By keeping a journal, it’ll enable you to identify mistakes and weaknesses made in demo trading account before transitioning over to live trading. Also, in order to keep a trading journal realistic, we’d advise starting with an account balance similar to what you intend to begin with in live trading. There’s little point in trading a $100,000 account, if you’re planning to trade with only $1,000. The goal is to keep it as real as possible. Fortunately, IC markets allow you to select the opening balance. What’s more, there’s no expiry date on the account, thus making it easy to track your progress. The main difference in demo trading and live trading is that the latter has more pain involved when one suffers a loss. Not only was you wrong in your trading outlook/idea, but you also lost money in the process. While you’ll never effectively feel the psychological stress of trading a live account in a simulated environment, there are two methods which may help. The first is to think of demo trading as a license needed to trade live funds. In order to receive this license, you need to maintain a certain consistency using demo dollars. By design, this places you in a setting in which you need to respect risk and money management principles. The second method is simply setting real-life penalties for when you lose a trade. For instance, you place a dollar in a jar following a losing trade. You could even donate this money to a charity as this will help remind you that a trade has a real money aspect to it. Other than diminishing the psychological aspect, trades take on a demo platform will also not be subject to slippage. This is something that can occur in the live trading environment, so do take this into account. Opening a demo account with IC markets couldn’t be easier. 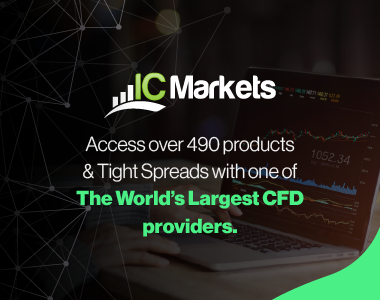 What’s more, we have MT4, MT5 and cTrader platforms available to choose from, as well as a wide range of currency pairs, metals and CFDs, all trading with attractive spreads. To get started click here: IC Markets Demo Account. Once you’re familiar with the platform functions and have a tested method in hand, you will likely be looking to open a live account. With IC markets, you can open an account with as little as $200 (Open a Live Account). That way, assuming you risk no more than 2% on each trade, making your very first live trade need not break the bank should you make a mistake.